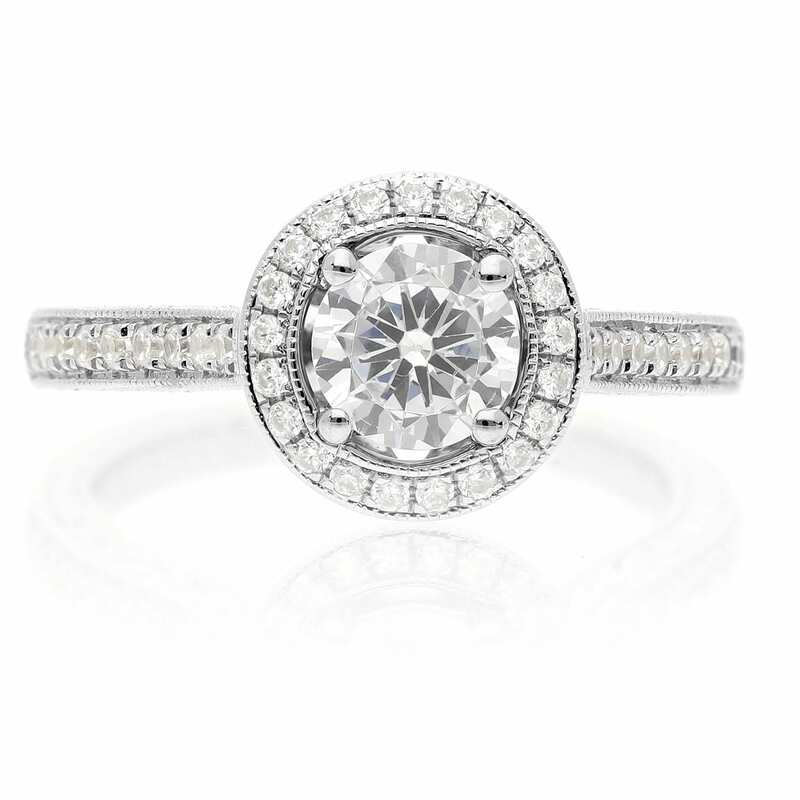 A stunning engagement ring featuring a round diamond halo with milgrain accents. 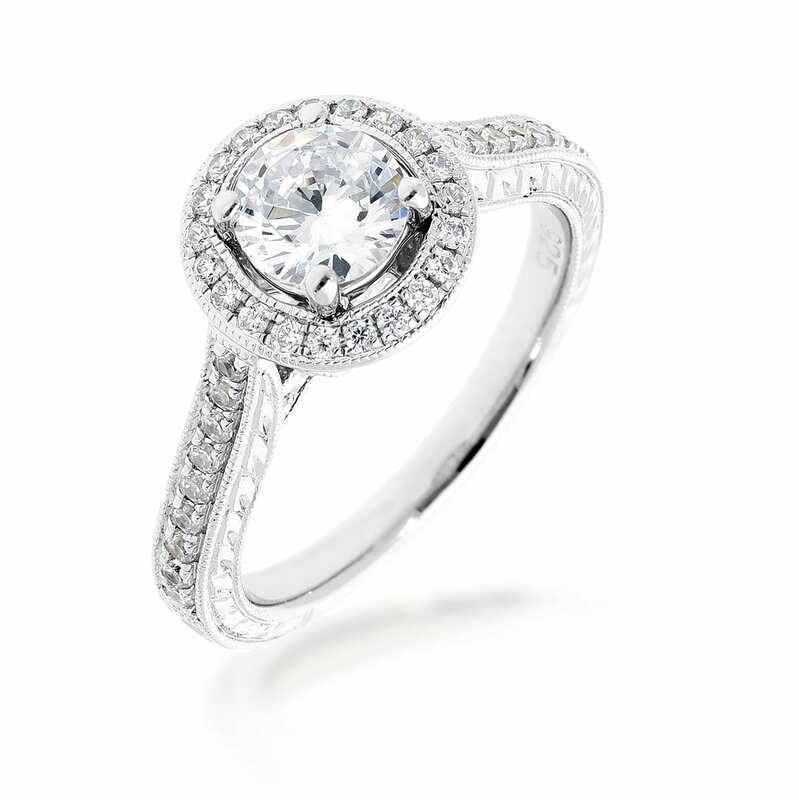 The band features round diamonds, milgrain, and an engraved stylized pattern. 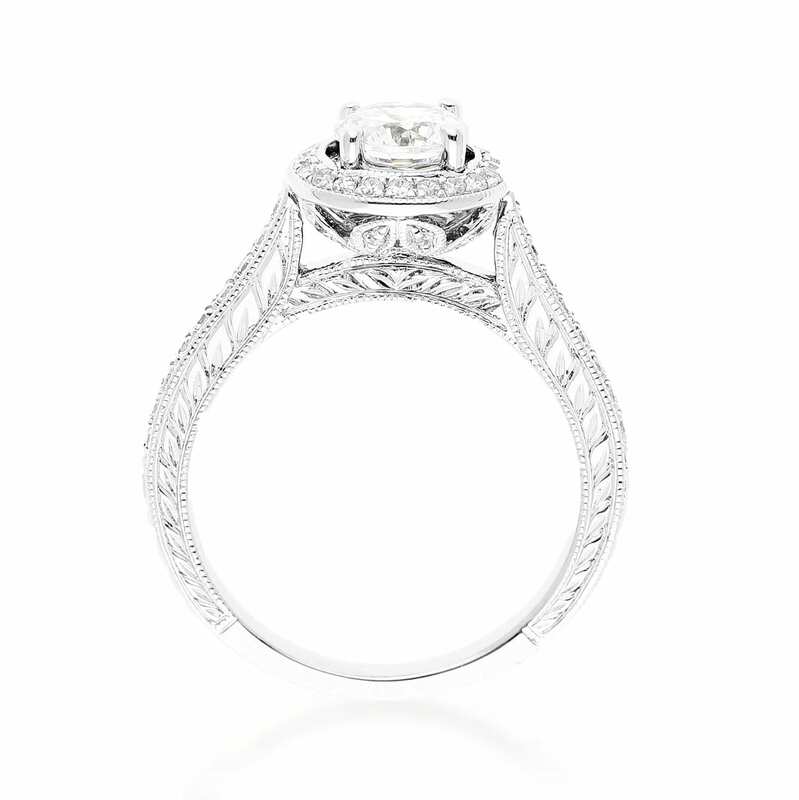 The under gallery features a floriate leaf pattern accented with diamonds and milgrain. Side Stone Carat Total Weight: .366 Ctw.